Rabbi Jamie Arnold has been with Beth Evergreen since 2005. The congregation has dramatically transformed since then. Rabbi Arnold sat down with the IJN to talk about some of the changes and what the congregation is up to. Originally from Rochester, NY, Arnold received rabbinical ordination from the Reconstructionist Rabbinical College and began working at a Reconstructionist synagogue in Buffalo. When Arnold was hired at Beth Evergreen, it began holding services weekly instead of every other week. The congregation quickly grew from 100 to 180 households, and now hovers around 200 household members. He credits the growth to having a full-time rabbinical presence and the construction of the new building around two years before he was hired. Arnold says that Beth Evergreen was founded as a refuge. The original congregants wanted Beth Evergreen to provide congregants something that urban, traditional synagogues could not. The congregation has now passed its 40-year mark, and the atmosphere that sought to reinvent methods of observance is as alive as ever. “There’s something called a Mountain Jew, a mountain minhag. It has sort of a do-it-yourself flavor, less formal atmosphere . . . People are comfortable wearing jeans and a T-shirt. 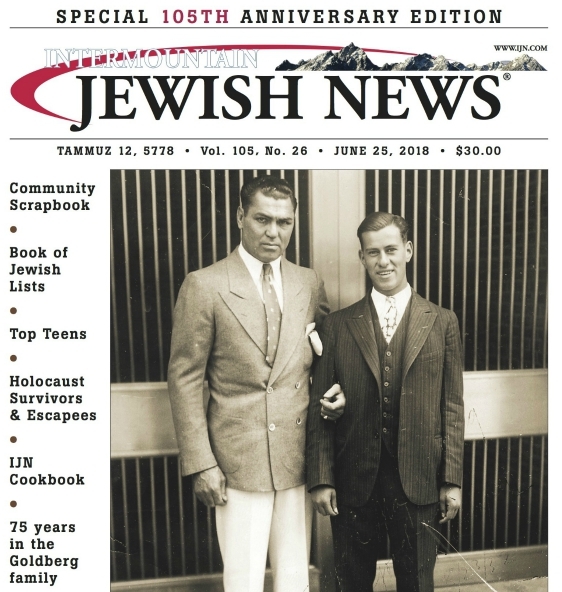 Rarely do you see a suit-coat, except for the High Holidays, or at B’nai Mitzvot, where people come from the East Coast.” Rabbi Arnold laughed as he described the environment. In terms of practice, “There’s more interaction, in terms of services, and divrei Torah, less lecture-y,” he said. Rabbi Arnold described Reconstructionist Judaism as a “breakaway, sort of progressive branch of the Conservative movement.” According to Arnold, Reconstructionism “tends to be similar to Reform in terms of social issues, and closer to Conservative in terms of ritual manners. While one might imagine that a small, rural mountain town would be conservative, Beth Evergreen is anything but. Arnold says the congregation is very progressive on social issues. Arnold also says that the congregation is open to creative ways of thinking about Jewish practices and experience. The synagogue is host to a variety of musical services with its own in-house band. Beth Evergreen has a hike on Yom Kippur, two softball teams and a greenhouse. It also holds many outdoor activities. When asked how he has influenced the congregation, Arnold cites three things: First, infusing Beth Evergreen’s practices with music and meditation. Second, the introduction of musar to the congregation — a spiritual and ethical practice in which one identifies middot (personal characteristics) to study and practice. There is a middah of the month at Beth Evergreen. Third, engaging the community at large, including non-Jews. Two church congregations meet at the synagogue. Rabbi Arnold hosts an interfaith clergy group, which has created an interfaith emergency shelter program. It opens its doors to the homeless when the temperature drops below 20 degrees. Beth Evergreen is one of four religious organizations in Evergreen that do this. The group also holds interfaith services and panels. The congregation’s most recent endeavor is the management of a preschool that had rented space from the congregation but lacked the funding to continue. The synagogue has taken over these responsibilities and is moving toward creating a synagogue preschool.